Are you a Harley Davidson fan that has been waiting for them to break into the dual-sport / ADV market? Well, wait no longer. 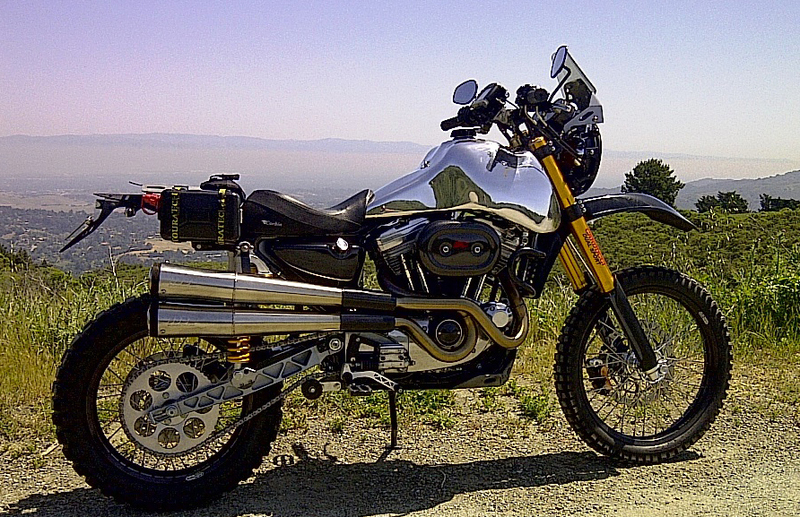 Jim Carducci from Carducci Dual Sport has taken a Sportster engine and frame and performed a wild transformation. The SC3 Adventure has impressive specs (see them below) while also appearing very minimalistic in design. No price or availability date given yet. 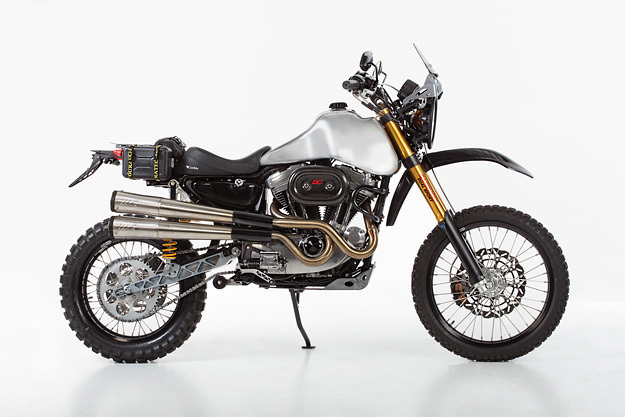 Has HD waited too long to enter this market and now custom builders have to fill the need? Is there really any market for an DS bike with a HD powerplant? Sound off in the comments below and tell us what you think. I friendly blog reader recently emailed me saying I never posted a link to part two of that Canadian who made the epic journey across Canada on his KLR650 in the winter. Thanks Dale for the reminder. This two part series has become my favorite moto-travel video on the internet today bar none. I think this is especially appropriate to post this week as we have had one of the coldest rainiest Springs ever here in Minnesota and many riders are complaining. Maybe it can serve as a reminder that it could be worse….much worse. Enjoy. A while back I posted a video of a Canadian who rode his KLR650 through the winter. Now it is time to get a little crazier. The video below is of a gentleman who has decided to ride around the arctic circle on a Honda 90. This is really very incredible. Crank up the sound and prepare to be inspired. You are currently browsing the Minnesota Adventure Riders blog archives for June, 2013.